Stuff like this will never get old. A tremendous finish in Green Bay last night prompted millions of similar reactions from football fans everywhere. The drama was building all evening and the game came down a 4th and 8 (the third 4th down of the drive). Aaron Rodgers, in his first game back in 2 months, evaded a sack and found a wide open Randall Cobb for the game-winning and division clinching touchdown. I’ve said it before and I’ll say it again – sports are the best. As jubilant as the play made Packers fans, it left Bears fans equally as crushed. Check out the Bears fan on Wisconsin walking away in disgust as the rest of his teammates celebrate around him. I’ve been there before too. Week 17 did not disappoint this year and now the playoffs are set with some intriguing match-ups coming up. Are we on our way to another Manning-Brady playoff battle? Can the return of Aaron Rodgers propel the Pack to a deep playoff run? Will anyone be able to beat the Seahawks in Seattle? Will it snow in this year’s controversial cold weather, outdoor Super Bowl? All of these answers and more are coming up in the next month and it’s going to be a lot of fun. 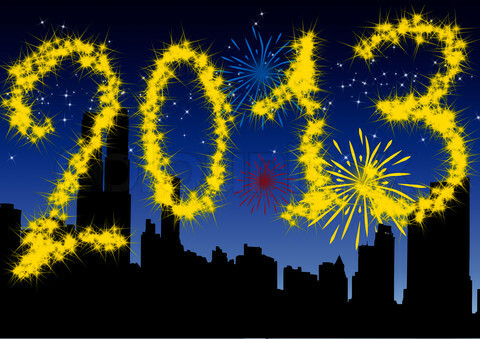 As the year comes to an end, there have been hundreds of “best of” countdowns and lists – all of which I appreciate. It’s hard to believe how many memorable moments (for good and bad) happened this year. Seeing all of the images and videos in one place really makes you appreciate and reflect on the year that was. Grantland had some spectacular year-end lists, which I recommend but if you’re only going to check out two lists, make it these to properly relive those moments that made 2013 so memorable. First is Sports Illustrated‘s 113 most astounding, extraordinary, indelible, outrageous and utterly unforgettable sports moments of the year. The highlights for me include Boston’s anthem at the TD Bank Garden following the Boston Marathon bombing, Ortiz’s game-tying grand slam and the Blackhawks scoring 2 goals in 17 seconds to win the Cup. Also, I would remiss not to mention Murray’s historic run at Wimbledon, the crazy finish to the Iron Bowl or Mariano’s final game of his career. Second is the New York Times‘ images of the year, which obviously encompasses more than just sports. The 80 images cover all types of moments and unfortunately include a lot of suffering. As the New York Times puts it “Amid the violence and politics, there were also pristine moments that remind us of our greater potential.” It’s hard to imagine a written article evoking such emotion and retrospection on the past year. These pictures are worth more than 1000 words. A lot happened in the past 365 days and I had forgotten most of it, so taking this quick trip through 2013 in pictures was a welcomed adventure. I just discovered Todd Edwards thanks to a tip from a friend and this YouTube video is pretty much the only thing that I have listened to over the past two weeks. Referred to as “Todd the God,” he is a legend in the UK Garage scene with his unique vocal sampling technique. To make him even cooler, Edwards is a native of New Jersey but he now resides in LA. He has even worked with Daft Punk, singing on Face to Face and also working on the duo’s latest album Random Access Memories. This mix at a Pitchfork after party event is great from beginning to end and it’s impossible to not be in a good mood while listening to it. There’s such high turnover in college basketball these days that it usually takes me about a month to figure out what kind of team Cuse basketball has in any given year. Last season Boeheim led a talented group that overachieved all the way to the Final Four. Last year’s team was a lot of fun to watch but then our two starting guards left (Triche graduated and Michael Carter-Williams entered the draft to become a double-double machine). Enter Tyler Ennis, Trevor Cooney and Jerami Grant. Cooney and Grant were of course on last year’s roster but both are seeing expanded playing team, leading to breakout seasons. Ennis is basically Michael Carter-Williams 2.0 and he’s just a freshman. Cooney is shooting almost 50% from behind the arc and he has improved immensely on the defensive end. Not to mention the leader of the team C.J. Fair, who is a year older and developed a mid-range jumper to go along with his strong post play. Coleman has slimmed down and Christmas has another year of experience under his belt. Finally, as the season goes on, I’m also looking for Patterson and Gbinije to take on bigger roles. I know it’s early but this 2013-2014 team has really impressed me it is first 9 games. In typical Boeheim fashion, we have played a lot of home games against less than average opponents but don’t forget we traveled to Hawaii to win the Maui Invitational as well. Nobody knows what to expect from the ACC schedule but this is a talented team that will makes waves in the new conference. A month into the season, we seem built for another deep tournament run. 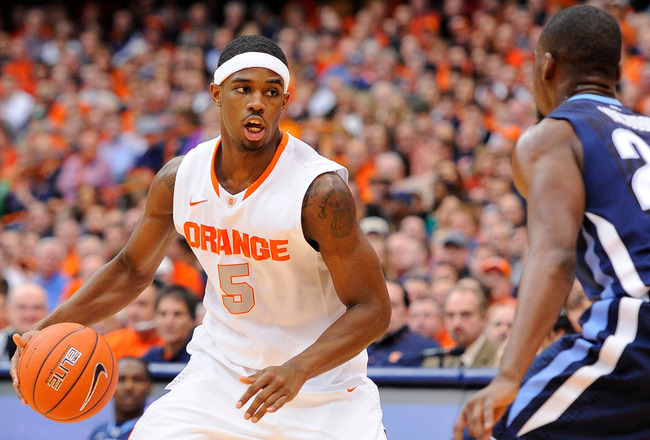 Sunday, The Orange plays at Madison Square Garden, their home away from home, against St. Johns. Our first real test will come against an old Big East foe in tenth-ranked Villanova. The ACC schedule begins at the start of the new year and it includes trips to the Carrier Dome for both Duke and UNC. It’s definitely early but I have no shame in getting excited about Syracuse returning to the Final Four for the second straight year. 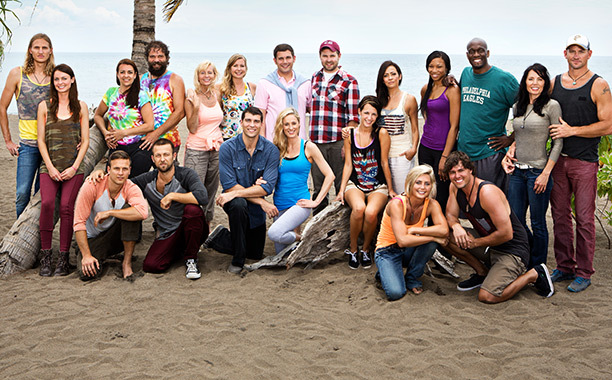 Survivor Season 27: Blood vs Water is sadly winding down. This has been a fantastic season that has featured many of the strategy decisions that we know and love along with some new family-inspired wrinkles. To be on the air for 27 seasons, minor changes to your format are necessary and I consider this Blood vs. Water iteration to be a huge success. Although sometimes arrogant and often lacking tact, Tyson has played a nearly perfect game to this point. He dodged a huge bullet last week by not drawing the white rock but aside from that unpredictable scenario, he has never really been vulnerable at any point in the game. For whatever reason, Ciera (prior to last episode) and Gervase have stood by Tyson and alerted him to possible blindsides. Hayden has made it clear to the rest of the tribe that if Tyson makes it to the final three, he will win easily, which is true. 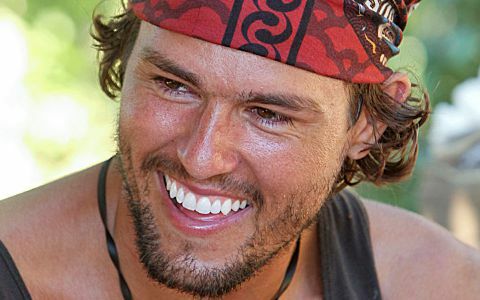 He still has a hidden immunity idol (one of 2 he has found this season) and although Ciera abandoned ship last week, he still has the numbers assuming Gervase and Monica stay loyal. Ciera had the opportunity to take Tyson out of the game (more on this later) but she tried to do it a week too late. Tyson has consistently made good decisions and he’s got a pretty good resume to present to the jury. He has been in charge from the start – beginning with his coconut bandit alliance with Gervase all the way up to the present – and people have known it too. Yet he has still survived and controlled the game. A major screw-up notwithstanding, Tyson is in prime position to win the game. Winning Big Brother is enough proof that Hayden is adept at reality television competitions. But if you needed further confirmation, check out his successful, guns-blazing, stop at nothing approach to convince Ciera she was at the bottom of her alliance from last week. He needed to swing Ciera in order to save himself and he was not going to be defeated. Of course, he received help from Gervase repeatedly listing Ciera fourth when counting out his alliance, but Hayden planted the seed. Had Ciera aligned with Hayden, Caleb and Katie like she should have, he would be the odds on favorite to win it all. Since it took Ciera too long to realize her best move, he is still working in the minority and in need of an immunity challenge victory. 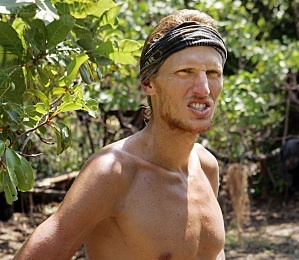 Still the physically strongest competitor left, I feel that he is due for an immunity challenge win. But who knows given how well Monica has performed since the individual challenges began. Stirring the pot last week was his only course of action and he did it to perfection. Plans have blown up in his face a couple of different times and he has adapted. Playing the hand you are dealt is a big part of Survivor and Hayden will not go down with a fight. If he makes it to the final three, I think he is a sure thing to win it all but his challenge lies in the next two votes. His solid gameplay has put a target on his back and if Tyson is playing to win, he will vote him out immediately. The previews indicate Hayden will continue to play hard and could sway Monica to vote with him and Ciera. Time will tell but I like Hayden’s mindset entering the final two episodes. She has been great in recent challenges but that’s about the only good thing I can say about her game to this point. She was in a majority alliance but became so paranoid that everyone was afraid to talk strategy with her. No one will tell her anything and she has essentially been Tyson’s pawn. Even if she makes it to the end, how can she convince anyone on the jury that she is more deserving than any of the remaining players? She’s got a tough road ahead of her but I still give her a 7 to 1 chance to win it all because she has an opportunity to make a big move this week. She will be presented with an opportunity to switch alliances in the upcoming episode and if she does it, she drastically improves her chances of winning. At least she will have something to point to when asked “What moves did you make to get to this point in the game?” Right now the answer to that question is “I rode Tyson’s coattails.” That’s not a million dollar answer. It’s possible she can win another challenge and even if she doesn’t, she has a chance to make a big play. The swing vote is a very powerful position this late in the game and that’s the role that Monica finds herself in. I actually think Monica will make it to the final three regardless of which alliance she chooses. Her decision in the next episode will decide whether she has a chance at receiving votes in the final three or whether she is just scenery. Up to this point, I haven’t touched on the fact that we know one person will be returning from redemption island. One of those potential returners is Ciera’s mom, and if Laura M. continues her strong run on Redemption and re-enters the game for a third time, Ciera improves her chances of winning dramatically. Ironically, Ciera voted out her mom earlier in the game because she didn’t want her to interfere with her gameplay, but now she needs her mom more than ever to regain the numbers. 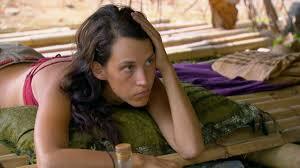 She is completely useless in challenges but she could benefit from either her mom or Katie returning into the game. Also, Monica changing alliances could also provide a chance for Ciera to make it to the end. If her mom doesn’t return to the game and Ciera makes it to the end, then she has an automatic vote for the million and her mom could lobby for her on the jury. There’s a lot going on here but ultimately I have Ciera at 9 to 1 because of her mistake two episodes ago. 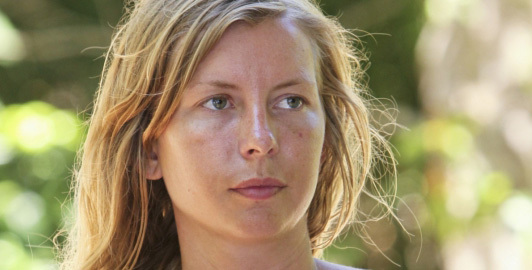 Yes, she made a big play at tribal council by flipping on her alliance and forcing a rock-drawing tiebreak (which was great television) but her timing was way off. She needed to make that move when it was presented to her by Hayden and Caleb or she could have waited for the player from Redemption Island to return before turning on her alliance. Realizing she was at the bottom swayed her decision and she let her emotions get the better of her at tribal. A cooler head would have realized that she can let this vote play out and get rid of Hayden and then possibly use Katie, Monica and/or the returning redemption player to turn on Tyson and Gervase. Instead she put herself in danger by drawing rocks and drawing a line in the sand to align with the minority. Once all of this comes out in the final tribal, I can’t see anyone on the jury rewarding her for such poorly timed “big” moves. Having said all of that, I have enjoyed Ciera as a player and she has added a lot of drama to the season. Hopefully Jeffy P and crew will bring her back for a future season. Second, he has developed a pretty unlikable persona thanks to his ego, which he has not learned to check at the door. Going all the way back to the beginning of the game when he almost drowned during a challenge and then obnoxiously celebrated his team’s victory to more recently when he yelled at Hayden for saying that Tyson will win a final vote easily. He just doesn’t seem to understand that the people you vote out need to vote for you in order to win. 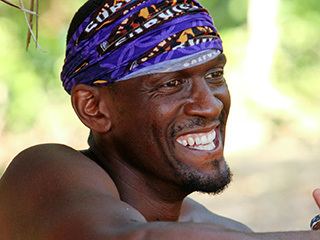 Finally, the jury was laughing in his face at the last tribal council and that is never a good sign going into a final vote. I can’t think of a single jury member who would vote for Gervase in the end and the right-hand man/woman members of a successful alliance don’t win it all. His only chance is to make a power move and take out Tyson, which is something he has contemplated but ultimately will not do. Props to him for overcoming his fear of grubs though! 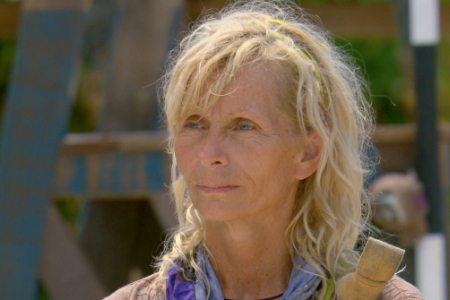 She has dominated redemption island and might re-enter the game but there’s no way that the remaining players are going to let a redemption island player into the finals. There’s been too much strategy needed to get to where they are and they know that a redemption player will come in with clean hands and a good, challenge-winning resume. Laura has a good shot to return and align with her daughter but I’d be shocked if they let her reach the finals. Tina has needed Laura’s help on multiple occasions to survive on redemption island. She’s a long shot to defeat Laura M. and re-enter the game and even if she does, the same problem persists about redemption players making it to the finals. I think she is savvy enough to stir things up if she re-enters the game but it’s a big hill to climb to make it to the end and get enough votes to win. She has struggled in challenges all season and now she needs to win a challenge to return to the game. For that reason alone, she is the long shot. Jeff Probst has also been pretty vocal in tribal councils about her lack of gameplay, sometimes almost urging her to make a big move. Lack of challenge success combined with a lack of strategy does not equal Survivor success. Can’t wait for the final two episodes! This has been one of the busiest offseason weeks for baseball that I can remember. Ellsbury is going from the Red Sox to the Yankees, Cano is changing coasts, Beltran is a Yankee, Napoli re-upped with the Red Sox, the Twins signed Nolasco and Hughes and there were a handful of trades. In the middle of all of this activity, Sandy Alderson made a splash by signing Curtis Granderson to a 4-year, $60M deal. This is a great deal for the Mets. 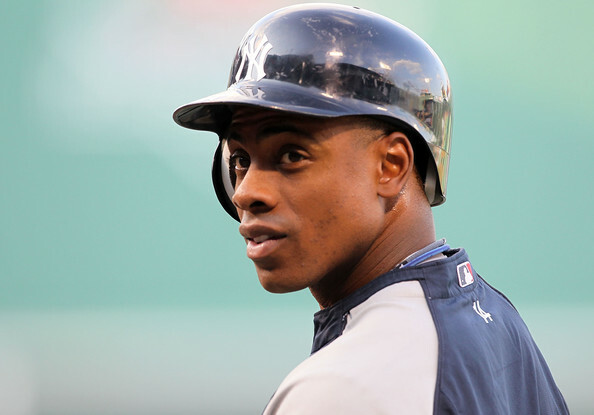 With all of the money going around this offseason, $15M a year for Granderson is a bargain. He is 32 years old so a 3-year deal would have been ideal in my mind but I can’t blame the Mets for agreeing to a 4th year. He hit 40+ homers in both 2011 and 2012 and will be a welcome addition to an outfield that needs an offensive boost. I am aware that he only played 61 games in 2013 but his injuries were very fluky. How often is a player going to hit by a pitch in the spot where he just recovered from an injury? Hopefully not more than once. We still have some holes to fill but the outfield was our biggest weakness entering this offseason and we have worked to plug that hole. First with Chris Young and now with Granderson. It will be interesting to see what Alderson decides to do with guys like Ike Davis and Daniel Murphy. They both have value to other teams and could be viable trade options but I’m not ready to see either of them leave yet. Murphy has proved himself as an above average hitter and a passable second basemen. Ike continues to struggle in April and May but I’m willing to give him one more season to prove that he can be a force in the middle of our lineup. With Harvey out for the year, it is unlikely the Mets will make a run at things in 2014. 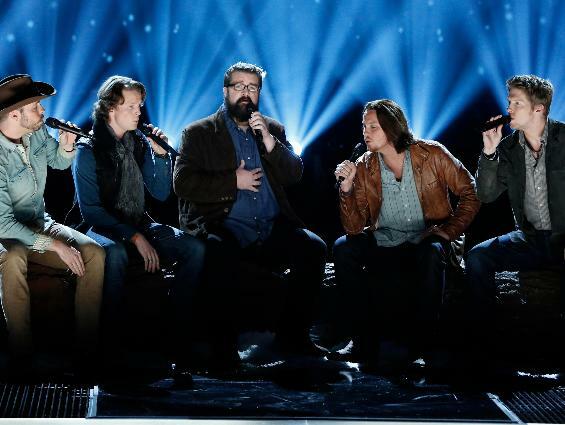 It still feels like we’re one year away but 2015 is looking pretty promising. We should continue to work towards that year as being our realistic shot at winning the NL East and Granderson will play a big role in that division winning team. Hopefully there’s more moves to come but in the mean time, I’m very happy to have Granderson on board.